Trees are the life blood of our planet providing us with oxygen and cleaning the air of numerous impurities that we produce each day as well as providing us with wood for construction and also food and even medicines. There are essentially two main types of tree those that are deciduous and lose their leaves each year and evergreens which don’t. Whatever the variety of tree they need to be looked after carefully and is where Dorset Tree Surgeons can help. If you have trees on your grounds that are in need of some maintenance or you are just looking for general advice, then click here for more information on tree services. Evergreen trees are wide spread across the world with the only continent not being home to these beautiful trees is Antarctica. There are thousands of species of evergreens and these include palm trees, conifers and most of the tree species that exist in the rainforest regions. 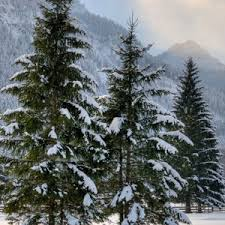 It is thought that they cover around 15 percent of the worlds land mass with the highest concentration of evergreens being in the Northern Hemisphere region. It is difficult to identify evergreen trees from their appearance alone (unless of course you are looking in the depths of winter and they are the only leaved tree around) as they all differ. They can vary in height with some species being very small and others like the Californian Redwood reaching heights of around 350 feet. Their name is also misleading as not all evergreens remain green all year round with some having red, brown and even yellow foliage. 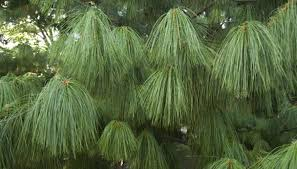 The leaves also vary with some like conifers having needle like pines and others have large leaves like palm trees. Evergreen trees will tolerant a certain amount of shade, but they need sun light in order to grow and thrive. Their requirements for water will again depend on the species of tree with some being able to survive in almost drought like conditions and others such as those found in the rainforest needing daily rain in order to grow. These trees are also adapted in their root areas to be able to cope with the damp wet soil they that live in all year round, whereas conifer style trees much prefer to be in well-draining soil. So, next time you are out picking your Christmas tree think about all the other species of evergreens that are growing across the globe. Christmas in a log cabin.